My hand always reach towards my pocket searching for my mobile phone when I am in my class. This has become very irritating for me. Many of us do the same thing. Time bounded people have to regularly get mobile in hand, switch it off, or send it to silent mode or flight mode. What if it does regular timed stuff automatically without even touching the device? Yes!! AutomateIt!, an app developed by SmarterApps Ltd, can automatically do things for you without your having to remember them again. If you need to send a message to a person at a certain time, no worries — this app will send it for you. Change your phone mode to flight-mode before you board a plane, no problem — this app will change it for you. 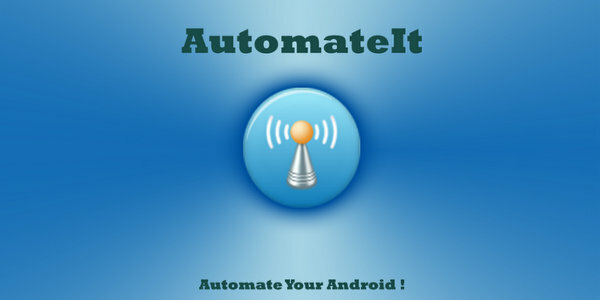 Through very easy steps in AutomateIt!, you can program or trigger your device any time. You just need to create a “rule” for your device to make it happen. The easy steps are Trigger, Action, Rule then Save — yes, that easy! You can make a trigger like Airplane Mode, Battery Level, Call, or even Send SMS for particular times. You don’t have to worry about remembering what you need to do because AutomateIt will do it for you. The app will carry out an action or task when you want it to. You just need to create a rule, and you’re all set. You device will remind you automatically or do it for you at the time you set. Bluetooth Device Connected – Connect to any device or specific device. GPS Enabled Changed – Triggers when GPS is Activated/Deactivated and started/stopped looking for current location. Manual Trigger – Requires user explicit execution of this trigger. Notification – Shows a notification on the notification bar. Set Volume – Changes volume level of all streams or a specific stream. Vibrate action – Vibrates your device. 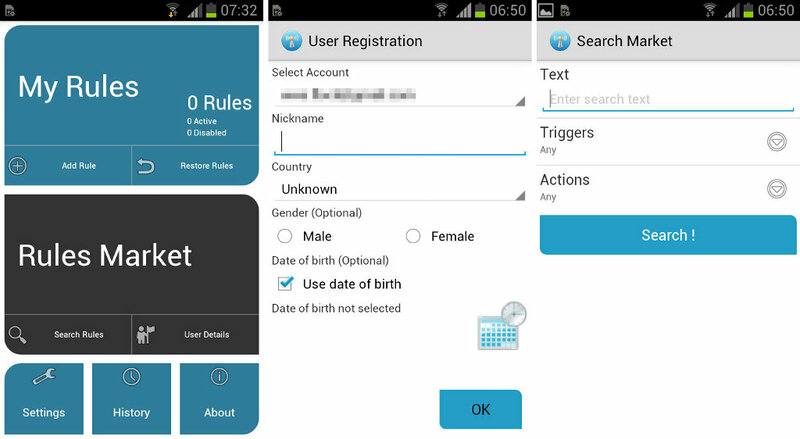 Set Mobile Data – Enables or disables Mobile Data. Essentially this app is an automated assistant. We went through all the features of the app and it seems very fast and easy to use. Basically, you can setup unlimited rules for your device. AutomateIt also has a pro, ad-free version which allows advanced features such as composite triggers, composite actions, additional triggers, and additional actions. Make your Android device do your bidding. With AutomateIt!, set rules for it to follow, and it will surely make your life smoother and easier.